Recently, theaters (and not just the artsy theaters) have offered experiences similar to those gained from chilling in a store’s alternative music section for two hours. This phenomenon is not new, but the status of independent and alternative artists in big-name films has shifted. Now, songs from such artists are highlighted as climactic-moment songs or as songs in movie trailers instead of being relegated to background music for on-screen moments of contemplation. Before I continue, I offer a disclaimer: I have no education or background that makes me particularly qualified to discuss independent or alternative music. Read this post as one would read the comments section of a YouTube video (approach it with vague interest and hints of cynicism). To eliminate semantically driven debate over “indie” and “alternative,” I will use the labels given to these artists by third parties such as iTunes and Last.fm. 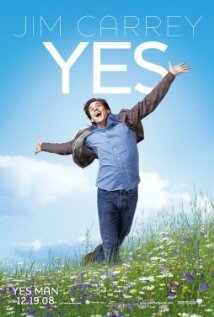 The growing phenomenon of alternative music in blockbuster films first gained my attention when I rented Yes Man (2008) on pay-per-view. The film’s soundtrack heavily features the brilliant music of the Eels. (The only other group on the soundtrack is Munchausen By Proxy, a fictional band featuring Zooey Deschanel and Von Iva.) Eels contributed a total of nine songs to the movie, including “Sound of Fear” and “Flyswatter.” And Yes Man isn’t the only movie to use the Eels’ music: the group also has soundtrack credits on movies such as Shrek the Third (2007) and Shrek 2 (2004). Other artists such as Eddie Vedder and Belle and Sebastian have benefited from the popularity of blockbusters as well. Eddie Vedder provided the music for Into the Wild (2007), and Belle and Sebastian’s music appeared in Forgetting Sarah Marshall (2008). The O.C. has used or featured music from Sufjan Stevens, Imogen Heap, Beck, and Modest Mouse. 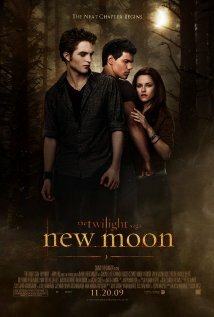 And Bon Iver, Death Cab for Cutie, Grizzly Bear, Muse, OK Go, and St. Vincent, among others, all have tracks on the New Moon (2009) soundtrack. And, recently, Florence and the Machine was featured on Glee (a wonderful episode). So what does this mean? Nothing, really, except that indie-loving movies such as Juno (2007), Nick and Norah’s Infinite Playlist (2008), and (500) Days of Summer (2009) no longer have a monopoly on the use of independent and alternative music. Now, moviegoers are just as likely to hear their favorite independent artist in a film featuring Robin Williams as they would in a film starring Michael Cera. And, given how much Cera’s particular brand of teen angst is starting to annoy me, I consider this a welcome change. Now, for those of you who are still skeptical about your favorite independent or alternative artist ending up in a blockbuster, consider this trailer of It’s Kind of a Funny Story (2010) featuring “Oh My God” by Ida Maria. Regardless of how you feel about the movie, you must admit that Ida Maria’s song fits this preview beautifully. I believe they do this to not draw attention to the song. For instance, if a new hit song is playing a lot of focus will be drawn to it, rather than what is happening during the movie. Unknown songs gain exposure, while not distracting from the movie. How do you think this new tactic came about?